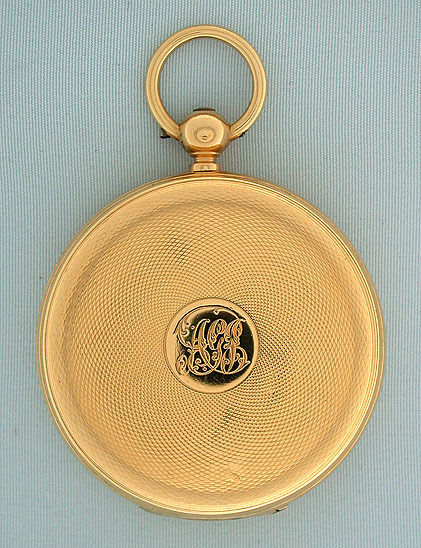 Fine English midsize 18K gold hunting case lever and fusee keywind antique pocket watch by Charles Frodsham, London, circa 1860. 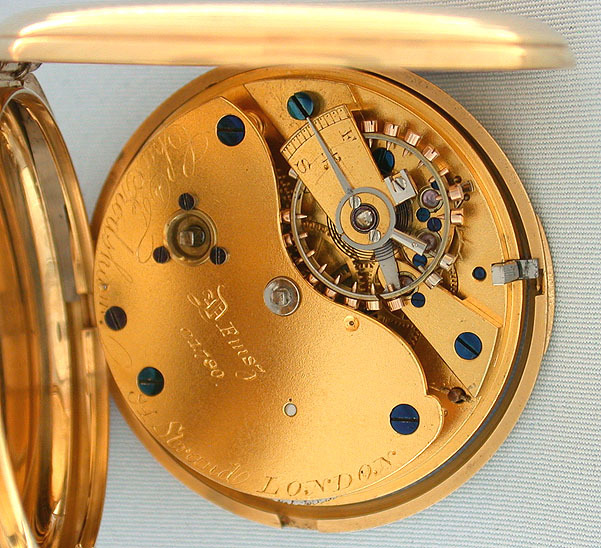 Engine turned case with light edge wear and minor dings. 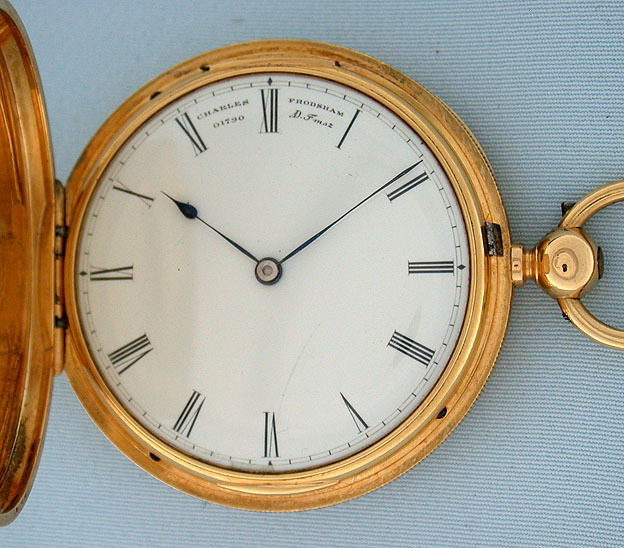 White enamel dial (short hairline) with blued steel hands. 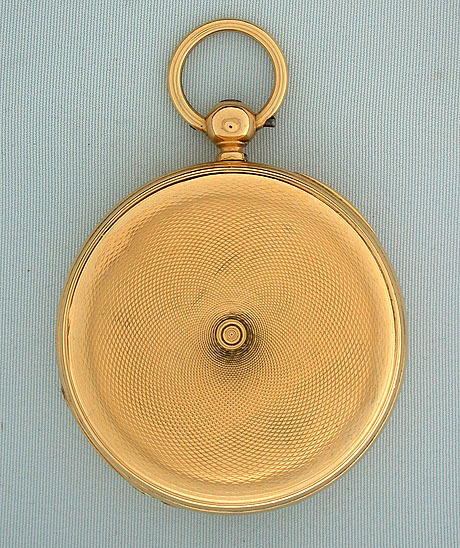 Fine gilt 17 jewel 3/4 plate movement with diamond cap jewel. Frodsham is a very highly respected maker and this is a good example of his work.